Alaska’s Mining Country: The Land of Big Gold! 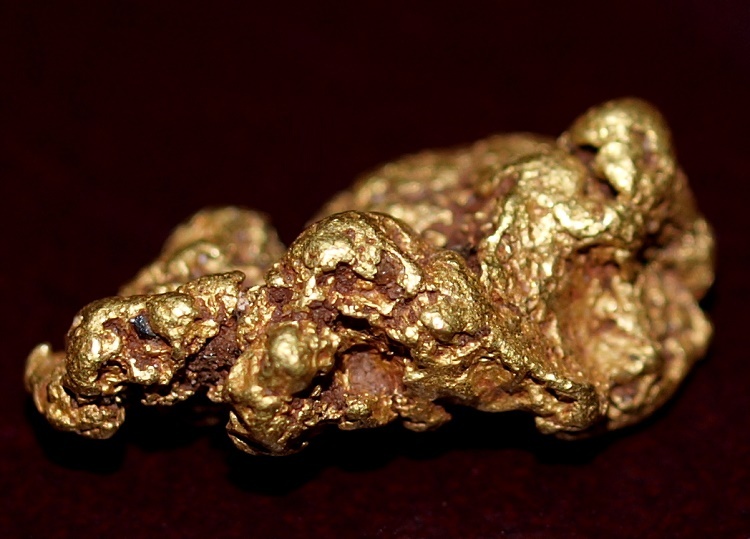 There have been some huge gold nuggets found in Alaska. It is one of the most remote mining regions on Earth, and it still holds great potential for gold mining. Alaska was the last state that gold was discovered in the United States. It was the famous gold rush to the Klondike region that brought the first white men to this remote part of the country. Prior to this discovery, only a small number of native people inhabited this region. 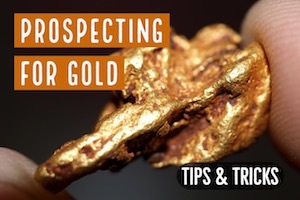 Prospectors eventually ventured out and continued finding gold all throughout Alaska. There are literally thousands of locations in the state that gold can be found, and many of these places produce large gold nuggets. 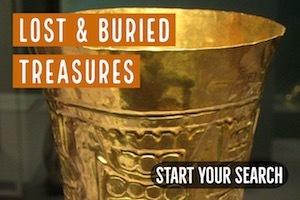 In fact, Alaska is probably one of the best places left on Earth to search for gold nuggets. Rich gold mining districts are found in virtually all parts of the state. There are many rich gold areas on the Seward Peninsula in eastern Alaska. The best known of these are the famous beach placers of Nome. While most of the gold found in the sand at Nome is fine textured, nearby Anvil Creek just west of town has produced some massive gold nuggets over the years! There are also many rich mining districts a few hundred miles southeast of the Seward Peninsula along the Yukon and Kuskokwim Rivers. Some of the better known mining districts are the Fortymile and Iditarod districts. 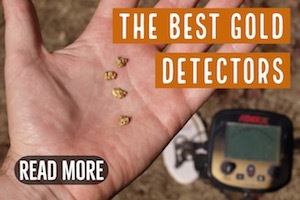 Two areas in this region that are well-known for producing large gold nuggets are Ganes Creek and Moore Creek, both of which have been popular destinations for gold prospectors using metal detectors. Further inland, many gold bearing areas are found on the Yukon traveling upriver toward the Klondike. Rich placers are found around Fairbanks in the Yukon and Tanana River basins and on the Chena River. The gold discoveries near Fairbanks were discovered as late as 1902, and are considered to be the last great gold rush in America. 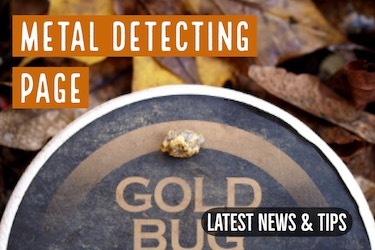 Plenty of gold has been found in the area around Cook Inlet in South-central Alaska. The Kenai Peninsula, Cache Creek, Willow Creek, and Valdez Creek are some of major gold districts around Cook Inlet and Anchorage. A lot of big nuggets have been found here too. A nugget weighing 182 troy ounces was found at Anvil Creek near Nome back in 1903, and it was the largest nugget found in Alaska for nearly a century. 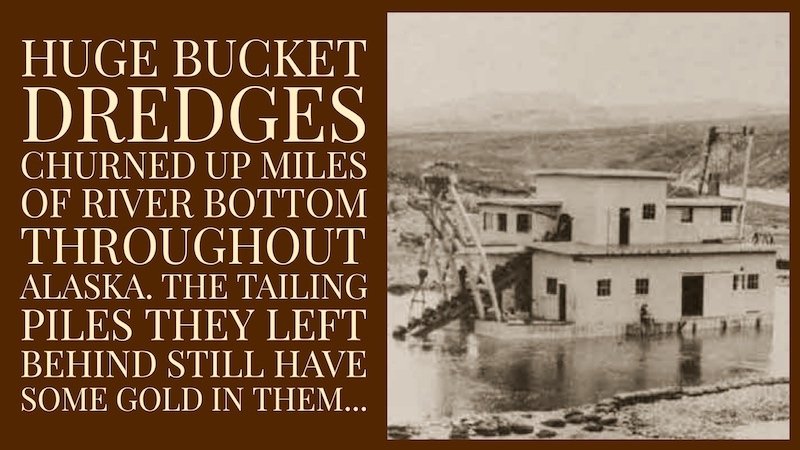 There have been several documented discoveries of nuggets in Anvil Creek that weighed over 100 ounces. It still holds great potential for large nuggets. The Ruby district is another place where huge gold nuggets can be found. The current gold nugget record is the Alaska Centennial Nugget. It was found in Swift Creek near the town of Ruby, Alaska in 1998 and weighed a massive 294 troy ounces! Several of Alaska’s largest gold nuggets have come from the Brooks Mountain Range in northern Alaska. 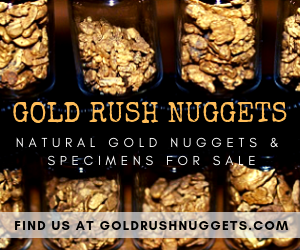 Many nuggets have been found near the town of Wiseman that weighed over 100 troy ounces. The Middle Fork of the Koyukuk River, Hammond River, Wiseman Creek, and Nolan Creek all produced some awesome gold, and miners are still finding some impressive gold nuggets here. Ganes Creek and Moore Creek are in the Iditarod mining district. 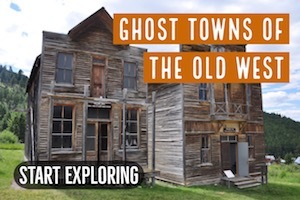 For many years, there were pay-to-play operations here where prospectors came from all around the world to search for gold nuggets with metal detectors. Many impressive nuggets and specimens have been found in the tailing piles of these mining operations. Alaska has very favorable mining laws when compared to all of the other states in the U.S. Restrictive regulations make it very difficult to operate large-scale mining operations in the lower 48 states, but Alaska still has decent laws that support the mining industry here. 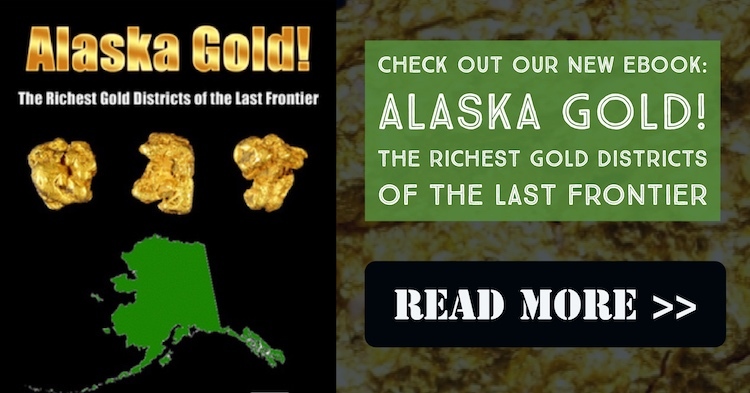 Unlike many other states, most gold found in Alaska today is recovered by placer mining. In most parts of the U.S., lode mines produce the vast majority of the gold, but in Alaska there are still rich placers that have yet to be mined. The harsh weather and short mining season make mining in Alaska challenging. Miners only have a few months to get as much gold as they can before the hard winter sets in. Overburden is challenging in Alaska. There are many rich gold bearing areas that are covered with barren ground that needs to be stripped to reach the best placer ground. Combined with the short mining season, it means that having a profitable mining season can be a real challenge. There are still some big gold nuggets waiting to be discovered in Alaska. The fact that the largest gold nugget in Alaska was found only 20 years ago proves that there is still a good chance of finding a trophy nugget here!